NTC Wind Energy specializes in bolt tensioning. We use the hydraulic ram and push-plate method of tensioning. 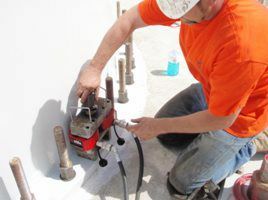 As a result, our equipment can be modified to any bolt configuration and to minimum clearance situations. Moreover, our equipment can be modified or repaired in the field, reducing risk of downtime. 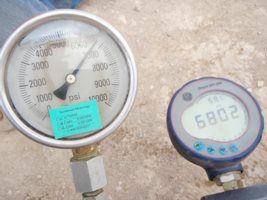 Our pumps are calibrated daily against a separate, certified gauge to achieve the precise tension desired by the Customer. Tensioning reports are provided in a detailed and professional format, designed to go directly into that turbine’s permanent file. Discounts are available for tensioning and cap installation in a single mobilization.